Hi, I’m Helen, and a complete animal nut! 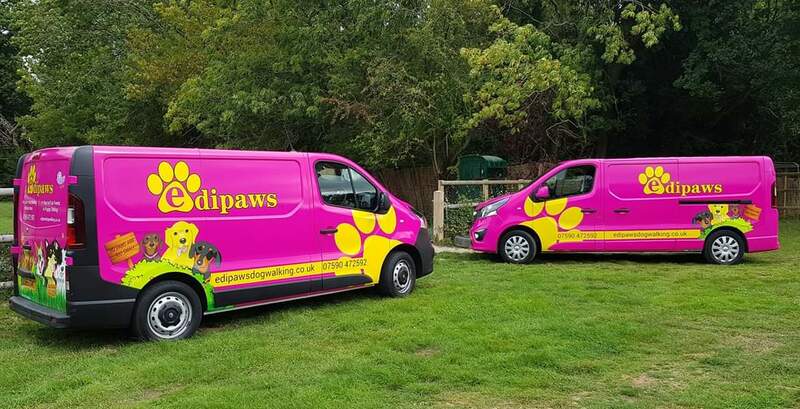 Here is an opportunity to find out a little more about my amazing team, or click here to read a bit more About Edipaws. I spend my day with my best friends (the dogs of course)! Come rain, snow or shine, on walks or snuggling up inside at my house…With a diploma in Animal Health, and Animal Communication. I have owned many different types of animals ranging from horses, to gerbils and chinchillas. The loves of my life are my dogs and i am so lucky my job allows me to have them all. They are as dear to me as children, and my parents are beginning to realise they have dachshunds rather than grandchildren! I’m so incredibly lucky to have Bob, he started as a client and when their circumstances sadly changed his owners decided they simply didn’t have the time for him and made the heart breaking decision to re home him. I offered him a home immediately and we still keep in touch, he certainly has the best of both worlds now and I am 100% the lucky one. Meet Heidi, one of my best best friends. We met when she enquired in to buying one of my Dachshund puppies 10 years ago, and boy am I glad she did. She owns Leni (now 9) and would appear to be one of the best mums to her 4 girls, and one of the most super organised people I have ever known. Not only does she look after my dogs on occasion, she has also been providing holiday cover for me and my clients, on the rare occasion I have gone away, to try and impact as few clients as possible. It has been so crucial for me to have a back up, be it a flat tyre or emergency a client has found them self in, Heidi has always been at the end of the phone ready to support all of us…So thank you Heidi! Tasha is a crucial member of the team, who is very much behind the scenes as she is predominantly based at our private acre but all the dogs adore her. An agility handler from the age of 3, she was bought up around dogs, and may potentially be boarding on the same dog madness scale as myself. She has been extremely successful in her agility career, winning up to grade 7 and has even competed at Crufts. My own dogs call her Aunty and we are extremely lucky to have her in our small team. Meet Anna, 6 years ago I was approached by channel 5, who were filming with Kerry Catona, talking about different avenues of work for young people, and they featured Anna in this programme, who had always expressed an interest in walking dogs. Well, 6 years on and she is still walking with me and has completed a farming and animal behaviour course at Merrist Wood College, as well as an animal first aid course at Berkshire College of agriculture. Come rain or shine Anna is always there to walk with us and join in the fun. What an asset to the Edipaws team, I don’t know what we would do without her, and boy do the dogs love her! All the Edipaws team are first aid trained for dogs. Look out for our mobile offices around the local area, bright and colourful, you can’t miss us. No expense has been spared to ensure the dogs travel time is as comfortable and as safe as possible.